In a shocking incident, a BJP candidate was arrested on Saturday on charges of theft at Aulachowka under Mangaldai police station in Darrang district. 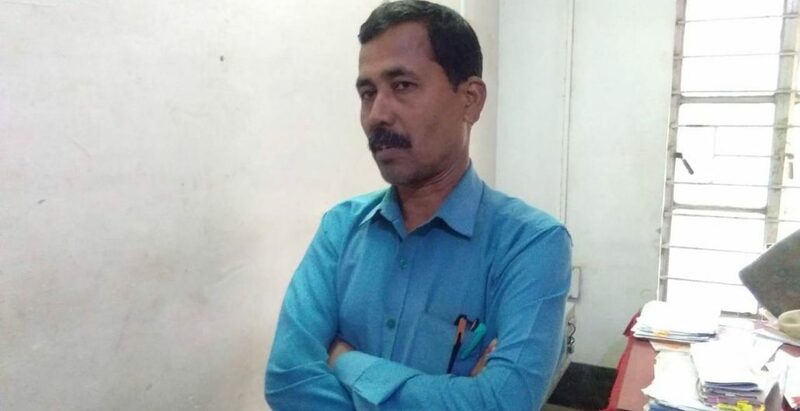 55-year-old Bhupen Deka, who contested Panchayat polls on BJP ticket for the post of president, was arrested for allegedly stealing rice bags from a truck that met with an accident on NH-15 at Bunglagarh near Aulachowka here. Arrested BJP leader Deka of Kuyapani village contested elections as BJP candidate for the post of President of Aulachowka gaon Panchayat. According to the information, a truck bearing registration number AS- 01 DD 7159 transporting rice bags from Guwahati had a head on collision with another truck bearing registration number NL-01Q 4803 coming from the opposite direction on NH 15 at Bunglagarh near Aulachowka and fell into a roadside paddy field. A section of people of the area including the arrested BJP candidate Deka allegedly looted several bags of rice from the ill-fated truck. The Mangaldai police on the basis of an FIR lodged by the owner of truck Shiva Chandra Roy and the owner of the rice bags Ajay Brahma, registered a case (No 1096/18 ) at Mangaldai police station under section 379 of Indian Penal Code. Police during investigation, recovered seven bags of stolen-rice from the house of Deka on Saturday and subsequently arrested him. Deka has been sent to 14-day judicial custody after he was produced in a local court here.